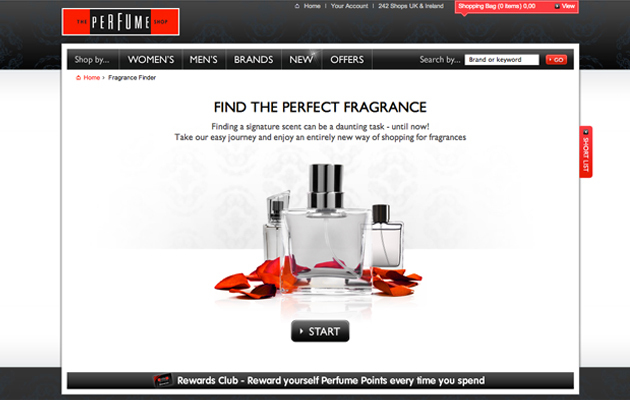 Together with its customer Procter & Gamble, The Shouts of Glee developed an industry leading fragrance finder tool. 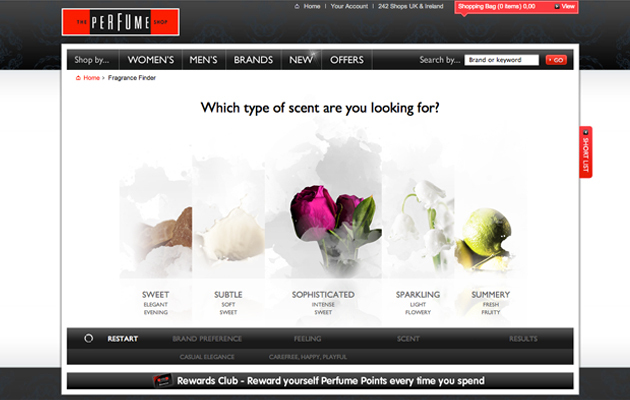 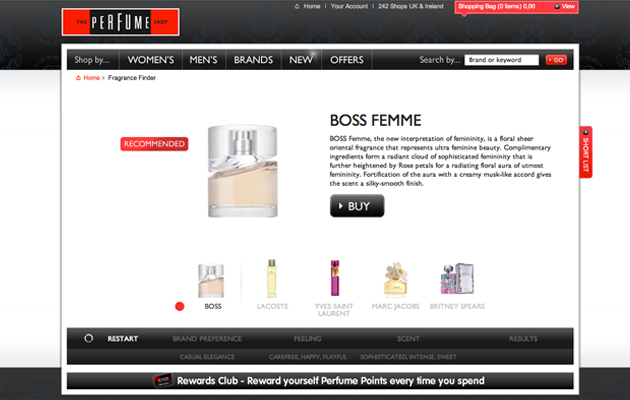 Available for eRetailer or brand customization the new fragrance finder tool was created to find the perfect fragrance for oneself or as a gift. 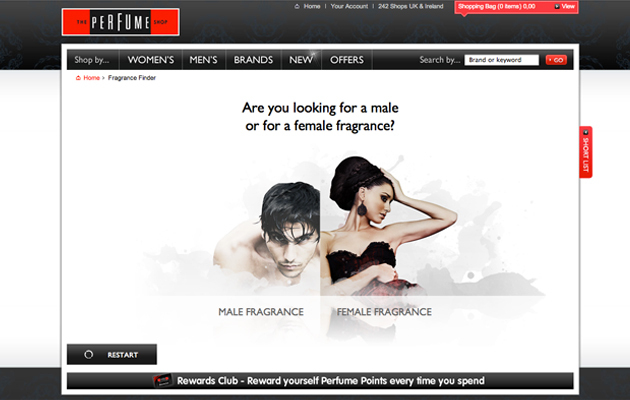 Inquiring not only for preferred brands and scents it also involves moods and feelings in its recommendation of four different fragrances and therefore draws upon an industry leading algorithm.